First time out this year and did not play well. Couple sweet shots though.. but not near enough. Yesterday, I played golf with a foursome from the real job at Maple Gate Country Club in Bellingham, Massachusetts – up I-495 about thirty miles from my home. I just started playing golf seriously eleven months ago – so I have many things left to learn. Yesterday, though, was the best day I’ve yet on the course. From the first hole, I was hitting my driver straight – and at anywhere from 160 – 220 yards – getting good distance for me. I tend to be a soft hitter, you see. Once I get the control down, I’ll worry about the speed of my swing. Control is a bigger factor. For the first four holes, I was sitting right at par, which is outstanding. And, I had a birdie attempt on a Par-3, which was a first for me. Not a bad start. On the 15th (a par three), I hooked my shot and ended up far off one side of the elevated green – actually on the fairway of the neighboring hole. A punch shot up through the trees dropped me about five feet from the hole for an easy shot. One of my better shots of the day. On the 16th (a par five), I dropped my 2nd shot into a bunker just short of the green. 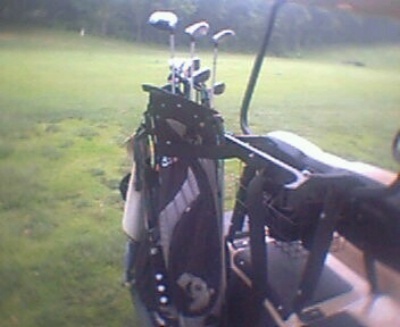 My favorite club is my Callaway Forged Wedge with the nice rusted finish. A quick shot out of the sand flew onto the green and about twelve feet from the cup. Unfortunately, I two-putted for a par. But it was the best shot of the day. Finished at 109 – so I’ve hit the first goal – breaking 110. Had I not shot 11 on the 10th hole and putted a bit better (or made one of my four birdie attempts), I would have broken 100 for the first time. Now I sit here wishing I had gotten out of bed and walked onto Lakeville Country Club this morning just to play another eighteen. Oh well. 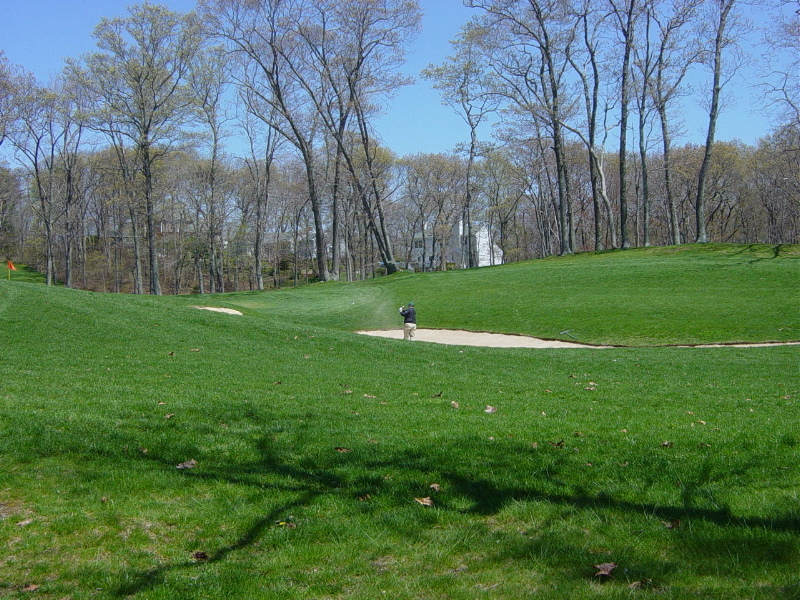 Off to play with a co-worker, my investigator, and my boss at Maple Gate Country Club in Bellingham, Massachusetts. Living between two big golf meccas in Bellingham (Home of the New England Country Club, Maple Gate, the TPC of Boston, and others) and Lakeville/Bridgwater (Poquoy Brook, Olde Scotland Links, the Lakeville Country Club, and others) and Cape Cod (oh the golf there – whheeee) isn’t bad. It’s been spring here in New England, at least through June 21st, when we moved into summer according to the calendar. But summer doesn’t really arrive here until late July – early August when the temperatures start hitting the high 90s. And then we move quickly into fall – and before you know it winter is here. But being a golf fanatic, we were on the links here as quickly as possible when spring slid into town. In the last two weeks, I’ve played four times. The first outing was a Friday morning with three co-workers at New England Country Club – a Hale Irwin designed course in Bellingham, Massachusetts (about 30 minutes from here). Great course in world-class condition. We were the first group out at 7:12am and had the course to ourselves. Shot 104, which is my best so far for that course. A great first outing. 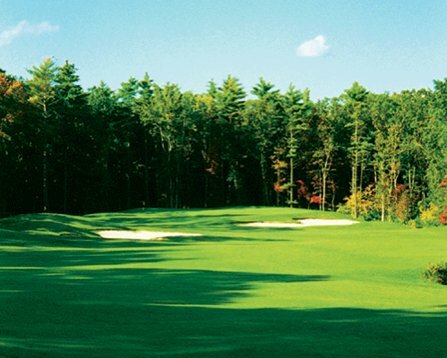 Played nine holes following a meeting at the Unicorn Country Club in Stoneham, Massachusetts. Shot 50 on this nine hole course, including my first ever legit par on a par five to end the round. 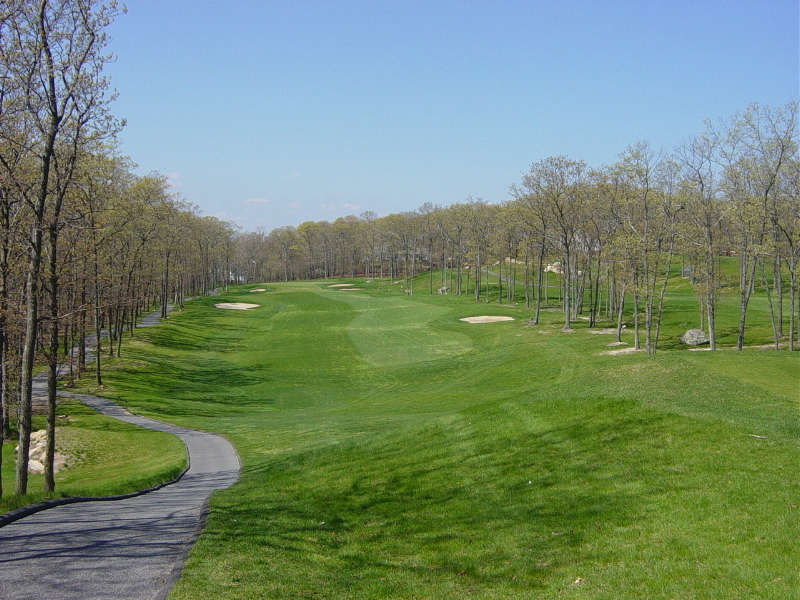 On Thursday, I played at Olde Scotland Links in nearby Bridgewater, Massachusetts. As the name implies, this is a links course, and a quite difficult one at that. 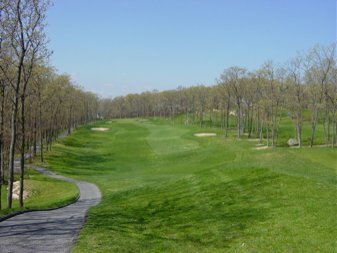 Scotland Links is unique in that it’s a municipal course, but the town of Bridgewater went out and hired a leading designer, Brian Silva to design it. It’s beautiful, fun, and very challenging. Shot a 108 on this one and earned a bit of a sunburn in the process. 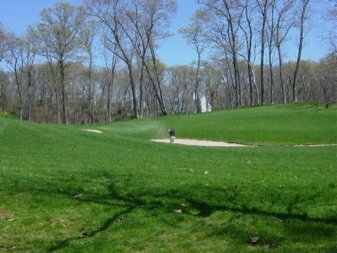 Friday afternoon, I played at the course I consider my “home course”, Poquoy Brook Golf Club in Lakeville, Massachusetts. Lakeville is but ten minutes from my home in Taunton. The course sits just down the road from the headquarters of Ocean Spray, so for all of you cranberry and vodka drinkers out there, this is your place. Teed off at 2:29pm and finished just before 7:00pm. Unfortunately, we were caught in a thunderstorm for a bit and had to pause play. Fortunately, there was ample adult liquid available at a reasonable price in the bar. I may yet find a way to play on Monday before I have to go back to work on Tuesday morning. Then comes the three weeks from hell before things slow down. Sorry for the poor picture above, I took it at Poquoy Brook Golf Club today with my phonecam, the quality isn’t always the greatest. Phil Mickelson wins his first major today at The Masters. Absolutely fantastic putt on the 18th hole to win. Played the nine hole course at Fresh Pond today in Cambridge, MA after work today. Decent course for the money. Tuesday was quite the day at Devens, Massachusetts as Fritz, Ted, and I had our first encounter with the Red Tail Golf Club – currently rated as the number one course in Massachusetts according to GolfBoston.com. As you can see from the pictures below, the course is simply gorgeous and in incredible condition. The view below is from the 10th tee, which overlooks the 18th green. Fritz and Ted would have an unfortunate encounter with that pond as we finished our day. By a stroke of luck, I was able to carry my three wood about 180 yards across the water and landed about 15 yards from the green. Really my only good shot of the day. 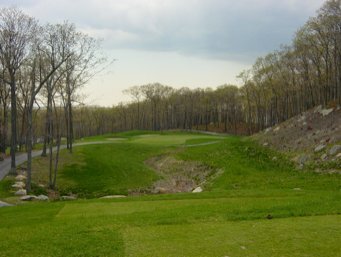 Golf Digest has written a great review of Red Tail. More pictures are available.